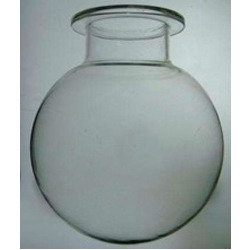 In order to cater the needs of our valued clients we offer a range of Reaction Vessel Flasks. We are a well-known industry, engaged in supply and manufacture of the best quality products. These products are manufactured by experienced professionals along with superior quality machinery creating long lasting and fine finished products. To ensure the satisfaction of our clients, these products are quality tested. Furthermore, these products are designed in different shapes and sizes.